Indoor American flags cost less at AmericanFlags.com! We proudly offer colonial nylon flags for indoor use. 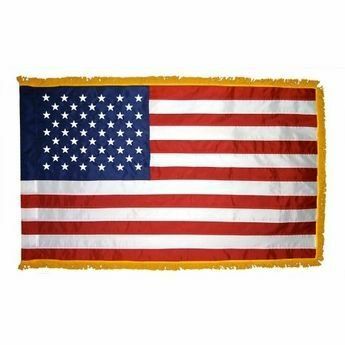 These flags are made in America and are constructed with the highest quality materials. We offer both fringed and unfringed indoor American flags. All are in-stock ready for immediate shipping.